ACEP published the clinical policy on the use of tPA for acute ischemic stroke in June. We covered the draft in January in a FOAMcastini. Given some significant changes, we wanted to update y'all to ensure we deliver accurate information. We review the changes and then tap our tPA brain trust, Drs. Anand Swaminathan, Ken Milne, Ryan Radecki, and David Newman for expert opinion. In this mini FOAMcast, we introduce a new segment - statistics. We cover inter-rater reliability,\ or, the kappa coefficient, using the PECARN head trauma decision aid as a tool. This week we review the Taming the SRU podcast, "Ketamine Cagematch" (iTunes) in which Drs. Minh Le Cong and Chris Zammit banter about the use of ketamine in patients with traumatic brain injury (TBI). Then, we delve into core content pearls on concussion/mild TBI including diagnosis, treatment, and complications using Tintinalli 254 but to be honest, Rosenalli is lacking on this topic so we've turned to the ACEP clinical policy, AAN guidelines, Ontario Pediatric Guidelines, and the AAP guidelines on the topic. Clitocybe, Inocybe - contain muscarine which stimulates muscarinic receptors (acetylcholine/parasympathetic), causing a cholinergic toxidrome. Memory aid: these mushrooms end in -yBE, akin to the "killer B's" that make cholinergic toxicity deadly - bradycardia, bronchorrhea, bronchospasm. Memory aid: gyromitra named because they look like the gyri of the brain and, conveniently, make the brain seize through depletion of GABA. Amanita phalloides - the mushroom equivalent of acetaminophen toxicity. Then, we delve into core content pearls on accidental hypothermia using Rosenalli (Rosen's Emergency Medicine and Tintinalli's Emergency Medicine: A Comprehensive Review Guide). FOAMcast will be back shortly with regular core content-cutting edge mash ups; however, we wanted to take a moment to focus on a conference that inadvertently created FOAMcast...and is coming to Chicago in June 2015. There are too many core content lectures to choose from and they're available on iTunes. This week we review Dr. Rob Orman's ERCast episode, Is it really a sinus headache? Then, we delve into core content headache pearls with an ophthalmology bent using Rosenalli (Rosen's Emergency Medicine and Tintinalli's Emergency Medicine: A Comprehensive Review Guide). We cover temporal arteritis, acute angle closure glaucoma, idiopathic intracranial hypertension, and cerebral venous sinus thrombosis. 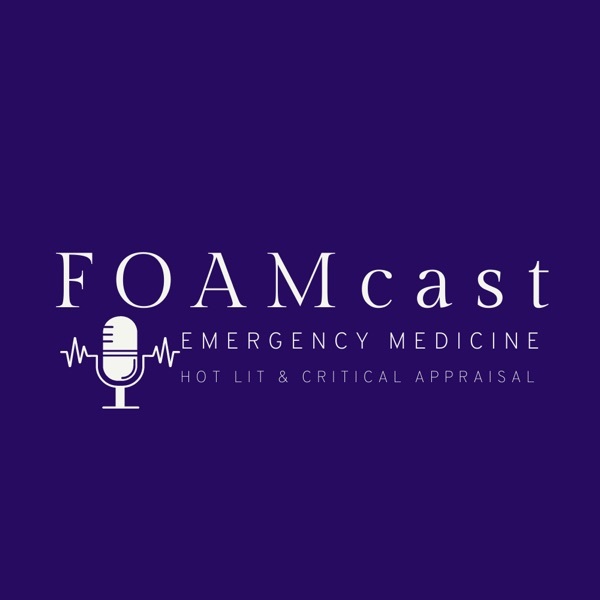 In this tiny episode, Jeremy gives his bottom line pearls for FOAMcast episodes 4-14. You know, because spaced repetition is a good thing. We've got anaphylaxis, heart failure, ebola, acid-base, and more. This week we review EM in 5's episode on the hand neuro exam. Then, we delve into core content hand pearls including flexor tenosynovitis, extensor tendon injuries, amputations, and more using Rosenalli (Rosen's Emergency Medicine and Tintinalli's Emergency Medicine: A Comprehensive Review Guide). This week we review Mount Sinai Emergency Medicine Residency's blog post on Ebola. Then, we delve into core content infectious disease pearls on Airborne and Droplet isolation and infectious agents such as varicella using Tintinalli as our predominant reference. This week we review Dr. Natalie May's brilliant post on the St. Emlyn's blog, "When Sick Means Sick: Emesemantics and Vomiting in Kids" in which she dissects emesis descriptors such as bilious, projectile, and coffee-ground. Then, we delve into core content on Neonatal Jaundice and Intussusception.